AMTRA Solutions, is an Information Technology company that provides people + technology solutions. Our goal is to provide premier technical staffing services and ensure the best professional service solutions to our clients. We are committed to providing quality opportunities with reputable companies that provide healthy, ethical and challenging work environments. We have an exciting new opportunity to join a growing team as an IT Staffing Account Manager, a dynamic, energetic and self-motivated person who can thrive with the AMTRA Solutions team. In assuming the role of Account Manager, you will be part of an energetic and motivated team that directly impacts the growth and success of our organization. With your sourcing expertise, you will be charged with finding top IT talent in hard to find places. Your responsibilities will be diverse and challenging, requiring you to collaborate with recruiters and hiring managers. You will create and execute sourcing strategies to find talent for key positions within our company and for our clients. As part of our team, you will be an ambassador for our clients and our IT organization, engaging with passive candidates, learning about their career objectives and connecting them with our opportunities. Responsible for the sale of technical staff augmentation, direct placement and workforce management solutions. Focus on enhancing existing accounts and prospecting for new clients to grow market share. 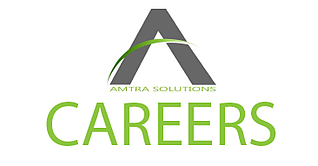 Accountable for working with Amtra recruiters to fill open positions quickly and efficiently. Identify, develop and maintain new business opportunities. Manage and exceed individual sales targets and KPIs. Proactively establish and maintain effective working team relationships with all sales and recruiting staff. 2-5 years of experience in sales. Extensive experience working with client management systems. Strong understanding of customer dynamics and requirements. Experience with the IT sector would be a definite asset but is not a necessity.